Pain relief and retaining control during childbirth. a sacrifice of the feminine identity? All over the world every day women are giving birth to their children. The cultural differences are enormous. The present study tries to make a bibliographic review of the studies that discuss the extent to which attitudes to pain and pain relief ultimately affect women’s health. The research question focused on whether culture influences can be oppressive for the attitudes of women and health professionals regarding pain in labour. The search in the Pubmed concerned the period 1973-2007, included articles in the English language and was organised in a form. 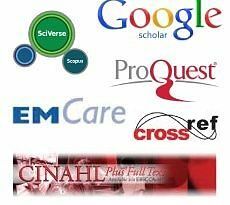 Pubmed was used, as it is supposed to be one of the biggest full text data bases, specially designed for health professionals. Key-words were grouped into contextual categories In particular this article explores social values relating to pain relief in labour, and argues that all women are to some extent vulnerable and oppressed when in labour. Analgesia has been promoted as a way of retaining control, when it is a sacrifice of the feminine body identity and there is little acknowledgement of the side effects. This action of oppressive liberation is a symptom of nowadays medicalised oppressive nature of the culture of childbirth experience. What is pain and which women are in pain? In a sense, vulnerable groups may be labelled ‘vulnerable’ regarding their experience of pain. In many ways women during labour are vulnerable because they are experiencing the oppressive monopoly of pain (Baker et al 2005). Pain can be experienced both physically and emotionally. There are biological facts that reassure the existence of pain. Someone could wonder if this oppressive character of pain is a feminine product or a biological fact. The women during labour are given drugs in order to deal with the biological pain, but this philosophy is a kind of oppression in a way, because it may create emotional pain (Deutsch 2007, Ridgeway and Correll 2004). The orthodoxy of relieving women in pain has the same philosophical roots with the pain itself. For example, a woman who has been sexually abused may ‘feel’ the pain to an extent where she is very distressed. The social values emphasize drugs to relieve pain. Yet the nature of e.g. pethidine relaxes women to the extent that they may not know what is happening to them or even what is being done to them e.g. vaginal examination. This knowledge we have increases the woman’s vulnerability –even to the extent that she may relive the powerlessness she had felt when she was abused. Woman becomes a passive client (Deutsch 2007, Baker et al 2005). The health professional sees that the pain is relieved, as the client is passive, quiet and silent. The oppressed woman is the woman who is passive. However, some women may be considered from their perspective to be free and active if they choose the pain relief given to them during childbirth (Miller 2007, Baker et al 2005). We can argue though that feminine vulnerability has been built up with our nowadays culture of pain (Ridgeway and Correll 2004). Pain and especially pain in childbirth is a product of the iatrogenetic philosophy that rescues femininity through interventions and forbids the radical expression of feelings that only the woman is privileged to experience through childbirth (Baker et al 2005, Ampofo et al 2004). It is essential before someone could start an exploration in the attitudes of women to pain and pain relief to set up epigraphically the background scene of the medicalization of childbirth (Miller 2007, Baker et al 2005). The nowadays medicalization of childbirth is culturally the accepted philosophy by western societies, which are based mainly at the medical model of care. Medical knowledge emphasizes drugs as only means of controlling pain, but we should always consider that all drugs have side effects for the mother and the baby. Richards (1993) points out “our western cultural attitude toward birth is fear based” (see also Murphy-Lawless 1998, p.16) The oppressive character of fear sets women in a disadvantage point, especially if they are experiencing pain. According, to Davis- Floyd (1994) “the technocratic paradigm metaphorizes the female body as a defective machine unable to produce a healthy baby without technological assistance. In contrast, the holistic paradigm interprets the female body as an organic system, and birth as an ecological process that can only be harmed by dissection and intervention.” The oppressive philosophy of iatrogenesis ‘rescues’ labouring woman from pain by creating an imperatory over the woman’s willing (Deutsch 2007, Baker et al 2005, Ampofo et al 2004). More problems appear, as drugs seem the easy way to analgesia. Kohler Riessman (1983) argues that the medicalization of the birth process has resulted in an increased reliance on drugs and technology as a means of managing this pain, to such an extent that it has transformed the meaning of childbirth from a normal healthy human experience to a problem that requires medical interventions as the norm (McDermott 2003). However, as Arney & Neill (1983) have argued ‘this conception of pain in childbirth may actually serve to increase medical power and control through the incorporation of patient subjectivity into the web of medical surveillance that surrounds and pervades women’s bodies and minds’. In a sense, medical power and control act oppressively in a women’s territory (Miller 2007, Deutsch 2007, Ampofo et al 2004). Indeed, Rajan (1996) concludes “the medical management of pain in childbirth raises a number of critical issues surrounding the ownership and control of women’s bodies, and the extent to which modern technology constitutes another form of oppression or a potential means of liberation.” Scully (1994) argues that “the monopoly over medical knowledge, which is considered too difficult and technical for the average lay person to understand, places the consumer at a decided disadvantage. Even the average, well-informed individual is handicapped in evaluating a physician advice or performance, because the information needed to make an informed decision is with held or unavailable”. The experts of medicalized knowledge state their power in the ability to relief pain and this is a trophy of medical knowledge. Although, pain is not always explained biologically, medical science sets itself up as value free objective, rational and impartial. The precious gift of pain relief in the form of drugs e.g. pethidine and epidurals are been offered without acknowledging that there are different forms of knowledge (Miller 2007, Ampofo et al 2004). For example, epidurals in most hospitals are considered a safe option (Baker et al 2005). A needle inserted into the epidural space, then having narcotics injected is considered safe, and yet, if a woman wants to labour in water or ‘even’ give birth in water, that is considered hazardous! This is a good example of social values, relating to medical, in purporting a set of truths. The truth in this case is that epidural is safe, and water is dangerous. Pharmaceutical analgesia, discovered and used by medicalized knowledge, manages always to release pain but can be oppressive, because women are loosing control on their own birth (e.g. not walking, not pushing, sometimes even not holistically feel) and they are attached, rescued and relieved by something ‘else’ exogenous (Ampofo et al 2004, Ridgeway and Correll 2004). The objective solution of iatrogenesis can be oppressive (Deutsch 2007), just because it is objective for sure and there is no need to be questioned. Rajan (1993) argues, “Childbirth is one of the few occasions in which pain is the acceptable manifestation of a normal process. The pain of labour is productive pain, usually with a tangible outcome, the baby, and certainly with a finite course that ends with the delivery of the placenta…. thus the pain that she experiences in labour has a different meaning to her from other types of pain.” The woman is becoming a mother and this is the most important aspect (Miller 2007). The pain of labour is therefore different from pain, which is a product of an illness or a traumatic condition. This specific pain has feminine emotional orientations. Nonetheless, labour pain can be very intense: “When compared with the pain associated with a number of illnesses and traumatic conditions, the intensity of pain in labour is severe.’ (Niven, 1992) Even if motherhood is a very important achievement in a woman’s life, it has been related to this pain and most religions ironically, accept that motherhood and suffering are inextricably interwoven. Women have to fulfil this part of their life in pain, as a kind of punishment for their succeeding to fulfil emotional freedom (Deutsch 2007, Baker et al 2005, Ampofo et al 2004). Each labour has the personal ‘seal’ of each woman (McDermott 2003). Women are expressing their inner identity and they are participating energetically in this experience. This inner identity and this energetic participation have a great variability among women. Women are not a homogenous group, with specific attitudes and a certain outcome in labour (Baker et al 2005). On the contrary, women do have different reactions and this is a healthy symptom. Melzack (1973) argues that a woman’s behaviour when she is in pain is likely to be influenced by her personal and cultural values, her individual situation and the context in which she is experiencing the pain. The personality of the woman and the culture are important factors in forming the biotheory of pain experienced in labour. This experience of pain and pain relief is invisible by the other people that surround her during labour, because each person has a different aesthetic in understanding every phenomenon, especially when this pain is a pain that has a very important result, a human being would be borned by this pain. Attitudes to the pain of labour aren’t established the very moment that the woman is in labour (Baker et al 2005, McDermott 2003). All through her life as she grows up a woman becomes involved through the stories of other women with the female body that suffers agony and pain during labour. Every woman creates her own myth, regarding the process of labour and the sensations she is to experience during birth based on the myths she has heard. During labour the woman is dealing not only with the contractions but also with the myths that the culture has created for her. This specific culture could be hypothetically oppressive for the woman’s decisions during labour (Ampofo et al 2004, Ridgeway and Correll 2004). However, the philosophy that faces all the women in labour as a patient that homogenically should have drugs to be rescued is totally oppressive for the variability of women’s choice for pain-relief in labour (Miller 2007). According to Schott & Henley (1996) some women may also be influenced by what they perceive as locally acceptable pain behaviour. For example, one woman said ‘ I had my fifth baby in Egypt. In Somalia I was brought up to accept pain stoically but in Cairo everyone else was screaming in the labour ward so I did too’ Somali mother of five.” The power of culture in forming oppressed attitudes to pain and pain relief is related with the fact that childbirth is culture. Therefore, culture of birth is affecting women’s health and it is an important issue in policy making (Baker et al 2005, Ampofo et al 2004). The resistance of women to controls and specifically to pharmaceutical analgetics has been discussed in the bibliography broadly (Deutsch 2007, Baker et al 2005). As quoted in page 167 Culture, religion and childbearing in a Multiracial society by Schott and Henley (1996) a Rastafarian mother of four wishes “people would realize that some women prefer to shout rather than have pain relief. We want to move freely and don’t want to be restricted by monitors, belts and drips.” The woman is lying on the bed, doesn’t walk all around all the time, she may be slipping also, cause the pethidine ‘is working really good’. This is a fact that sets woman as a passive, oppressed individual (Deutsch 2007). The question that is raised is whether, these fragmented labouring ladies by the oppressive underpinning philosophy of the nowadays birth culture, are going to comply or not with the ‘authentic’ knowledge (Ridgeway and Correll 2004). There are women that they would like to choose pharmacological analgesia. This specific attitude may be described as an action of oppressive liberation. Indeed, Lupton (1994) argues far from simply being “oppressive”, medical technology may actually serve as a “resource” in women’s lives and means of “liberation” from the constraints of their embodiment (see also Chapter 10 of modern medicine by Denny E, 1996). Moreover, Robinson (1998) speaks about the inner truth of the birthing experience arguing that: ”A woman may have a compelling need to accept or reject certain kinds of care – to protect her spiritual and emotional health, to protect her child in the way she knows best, to preserve her family.” However, Martin (1990) argues that “feelings of being ‘empowered and in control’ are illusory, and that “losing control” in birth “can mean having one’s body physically penetrated”. Women struggle to sacrifice their feminine identity in order to master illusory control in birthing process. Yet, one could challenge Gabe & Calnan (1989) that argue, there may be two types of woman: the active consumer who takes control of the technology available and uses it according to the need, and the passive user of whatever is on offer because no choice is perceived to be available. To categorize women in this way sounds like stereotyping. It could be suggested that there are as many types of women as there are women (Miller 2007). It is actually oppressive to define the attitudes of women and set different types, as women aren’t a homogenous group. However, Kohler Reissman (1983) suggests that women have not simply been passive victims of medical technology. Rather, they have actively collaborated in the medicalization process in order to satisfy their own needs and motives, which in return derive from their subordinate social position and their class –related interests. Moreover, Evans (1985) argues women are ambivalent about medical technology, on the one hand expressing a desire for more control over their pregnancies, while on the other hand, simultaneously expressing a desire for more medical technology. This is a symptom of nowadays lost of feminine identity (McDermott 2003). There is invisibility of women’s choice and medical technology oppressively master women’s health. Rajan (1996) suggests that ‘women may allow themselves to be persuaded that by rejecting technological intervention they put their baby and themselves at risk’… moreover, the nature of pain is such that opportunities for its relief are likely to be actively sought, and if effective, readily appreciated.’ The imperatory of medical technology has the power to persuade women that they are not ‘in charge’ and if they are not obedient they or their babies would be punished somehow (Deutsch 2007). However, Kirke (1980) found that women who were not satisfied with the care they received in labour rarely questioned the technical competence of professionals attending them, but they were critical of the manner in which the care was provided. So it is easy ‘to sell intervention’ if you do it in a good manner. Davis-Floyd (1994) suggests that regardless of how the women come to believe that by all these intervening procedures they aren’t losing control, the fact that they do believe in and value such control is not an illusion, and their feelings of empowerment when they achieve such control are not illusions either. Concluding, this action of oppressive liberation is a symptom of nowadays medicalised oppressive nature of the culture of childbirth experience. Shildrick (1997) argues “the ‘whole’ body of phenomenology is intrinsically masculine, and women, by that token, are never in full existential health.” In this context childbirth, a uniquely female event is not seen as a normal, physiological process. The uterus that experiences the contractions, as a feminine experience is not ‘normal’ and therefore it has to be improved and cured. From this perspective, painkillers, especially pharmaceutical analgesics are the logical conclusion. On the other hand, Ussher (1995) emphasizes the importance “of understanding of the truths surrounding cyclicity on female identity…These uniquely female experiences should not be ignored or denied, nor should their influence be exaggerated.” The power of the birth experience is vital and unique for the feminine body. Women may have an inner need to master this experience. When a modern woman tries to find different ways to keep her birth under her control, analgesia becomes negotiable. It seems sad that our culture has reached the point that the woman in order to fulfil her freedom through the birthing experience, she is obliged to sacrifice her feminine body sensations and experiences (Miller 2007, Deutsch 2007). The birthing process has enormous culture differences worldwide. Attitudes to pain and pain relief ultimately affect to some extent women’s health and culture influences can be oppressive for the attitudes of women and health professionals regarding pain in during the birth. Women should challenge the social values relating to pain relief in labour and regain their power over to their bodies during an absolute feminine procedure, the birthing process. McDermott S. (2003) Maternal belongings and the question of ‘home’ in Mary Morrissy’s ‘Mother of Pearl’. Feminist Theory. Vol. 4(3): 263–282. Richards H. (1993) "Cultural Messages of Childbirth: The Perpetration of Fear," ICEA Journal 7(3):28, May 1993.